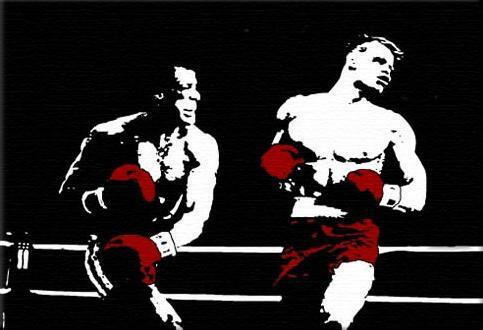 Rocky Training vs. Ivan Drago Training: Which is better? My son’s swim season is over and he’s getting himself ready for track. Last week he wanted to go for a run, but the roads around our house were covered with a slippery, icy slush–runnable, but risky and not conducive to any sort of good workout. But it was, “Not a problem,” I told him. “You’re just going to have to do some Rocky 4 training.” He knew exactly what I meant because in 2006, when the movie Rocky Balboa was coming out, I decided he and his brother should not only see that movie, but all the Rocky movies, in order, which we did over the course of a few weeks. 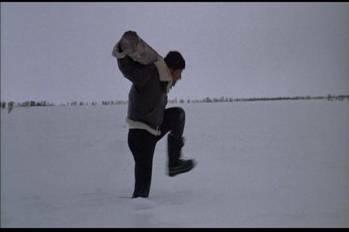 Rocky 4 is the episode where Rocky goes to desolate, wintery Siberia to train for his fight with the seemingly invincible Ivan Drago. 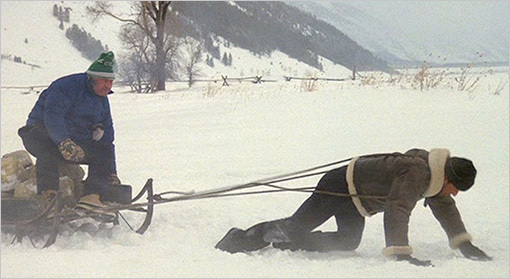 In the movie Rocky runs through the snow, hoists rocks, chops wood, cuts down a tree, high-steps through the snow with a log over his shoulders, gets down on all fours to pull a sled, and engages in all sorts of other unconventional training methods, and it was that snowy, cold, back-to-nature, get-away-from-it-all, unmeasurable, numbers-free training I was referring to. So my son put on his running clothes, a pair of long wool socks and an extra jacket and headed out to the park adjacent our back yard and ran loops in the snow. How far did he run? Who knows. How fast? Not very. But it didn’t matter. He came home tired and a bit cold, but exhilarated and satisfied. At least that’s how I feel on the days I “go” Rocky 4, or “do” my Rocky 4 training. Sometimes I even use “Rocky 4” as a verb, as in “I’m going to go out and ‘Rocky 4’ for a while.” I can’t imagine I’m the only one who thinks this way and some of my favorite workouts this seemingly endless winter have been my Rocky 4 days: running high-stepping loops through the snow in that same park behind my house, strapping on ankle weights for a 3 degree walk along the frozen lakefront in Chicago, working off my hangover during Poker Weekend by churning through thigh-high snow in the quiet woods surrounding my brother-in-law’s cabin. These were all great workouts and you wouldn’t find any of them in anyone’s recommended training plan. 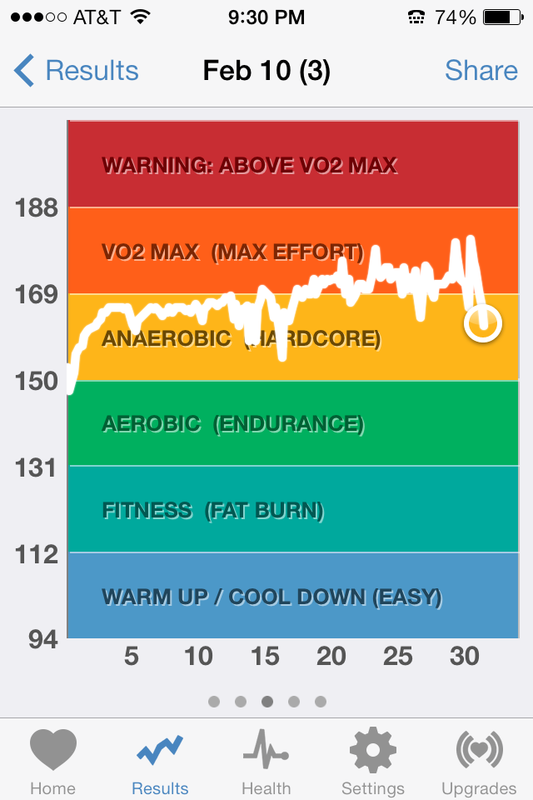 Of course, the majority of the training I’ve done this winter is more like that of Rocky’s nemesis, Ivan Drago. You see, all of Drago’s training took place indoors, in the lab, on machines, with every part of every workout precisely planned and measured to maximize the training benefit; and coming back from knee surgery, unable to run like I used to, I’ve spent a lot of time on machines, and know how far I’ve gone, how fast, and how hard I’ve had to work to accomplish it. I’ve run on the treadmill, done the elliptical, pedaled on a spin bike (with a sweaty instructor barking at me the whole time), done swim sessions with everything on precisely timed intervals, contorted my body to push and push all sort of weights, et cetera. 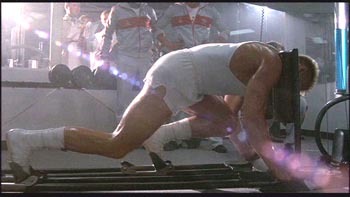 When Rocky 4 came out in 1985, Drago’s training methods were not accessible to the average athlete. But there have been so many sports science advancements since then, every health club has machines like the ones Drago trained on, and anyone who wants to can get all sorts of precise, numerical feedback on their workouts. Any athlete can follow any number of training plans that have been scientifically proven to improve speed, endurance, power, anything. There is also information on what one is supposed to eat and drink, when and how much, the best ways to recover, et cetera, et cetera. It’s all out there for anyone who wants it, but the question is, do we want it? Should we? Is it better to train like Drago, to know exactly what you’re doing, why, and what the results will be; or is better to train like Rocky did, just going with your gut, just doing it? Well, for a runner, if one’s goal is just to get faster, following a rigorous, scientific training plan probably is better. The body adapts through training, and if the methods have been proven, there’s no reason the results won’t come. To ignore that, to just go with what feels right, will surely lead to some kind of training error, too much or too little of this or that. I mean, it’s got to be precise. The reason they had all those perfect looking roses at the grocery store for Valentine’s day was because they’ve figured out the right amount of light, heat, water, nutrients, et cetera to grow them that way. Bodies are more complicated and unpredictable than rose bushes, but the same principles apply. Like I said, I’ve used some of the new training technology, especially this last year as I’ve tried to get myself back into shape. I’ve got lots of HR information from workouts, know how many watts I’ve averaged in my spin classes, I take vitamins and supplements I’ve read can improve performance. But relatively speaking, my training is not scientific or precise. I’ve never been good at science and all I really do with my HR monitor and most information is gather information. I never really base my training on it like is suggested. Sometimes I think maybe I should be more scientific instead of, like a lot of runners, I suppose, training hard but haphazardly, with a smorgasbord of ideas all mashed together, and then kind of “hoping” for a good day when a race comes. I mean, variety is good, so is adaptability, and trying new things. These are all good in life, but are they so good when one is trying to get faster? I don’t know. Of course, too much variety is bad because it’s not training if you don’t do something often enough. For example, running hills or doing pushups only one day, getting sore and never doing it again means there’s no real benefit because the key is to get the body to adapt to stress over time to get stronger. Now I don’t want to present myself as completely ignorant. I’ve been running a long time, I do follow a general schedule, a set of rules, and try to replicate training models that have worked for me in the past, but sometimes I think if I followed a more deliberate plan, I’d be better able to not only get in better shape, but predict my performances. 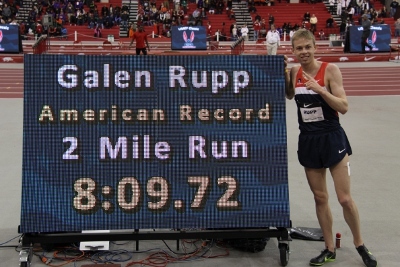 Maybe I’d be more like the roses in the grocery store, or like the Nike Oregon Project runner Galen Rupp. His training is reportedly so scientific he is sometimes he referred to as his coach’s “lab rat,” but he seem to be always getting faster and able to perform when it counts. Based on results and studies, there seems to be no denying the effectiveness of this method. But is this what I want? I do want to get faster. And especially recovering from knee surgery, I should know exactly what I’m doing and what the effects will be. I tell myself I’m being smart, mixing it up, being careful, coming back slowly, but I’m prone to do things on a whim. I make a vague training plan at the beginning of each week, a set of goals, but then each new day comes and I make it up as I go. For example, if the conditions are good, I might try to ski. If the pool is open, I’ll swim. If my running friends tell me they’re doing a track workout, knee willing, I’ll join them, and whatever the workout is, I’ll do it. If I’ve got time and energy, I might go down to my basement and lift weights. This all helps, but I’ve got no real plan. Usually I’m happy if I get close to 10 hours a week, of anything. I am getting faster, in the pool and on the track and my knee is getting stronger (details on all of this coming soon), so I’m doing some things right. But a routine, scientifically proven, based on data, experiments, physiology, would surely be better. But I’m not competing, like Galen Rupp, for Olympic medals or world records. I want to race again, but not having raced for so long, I see now that what I’m mostly training for is the experience of training, the feelings I get, the satisfaction, the discovery. Maybe I could go faster if I followed a stricter program, stayed within HR limits each workout, took ice baths then feel asleep dreaming about my VO2 max, calculated and measured more of what I do. I’m pretty sure that would work but I’m afraid I might lose the joy of training if I did that. 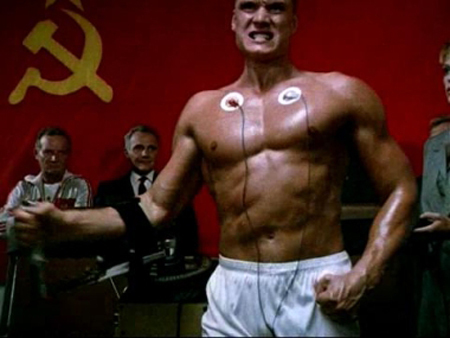 One point the movie makes about Drago’s training is that he is monitored at all times. But I think it’s been proven that when a person is monitored, he/she is less engaged, less productive, less creative. And following a rigid, scientific training plan is like being monitored all the time, even if you’re only watching yourself. So while Rocky struggles in his training, has doubts, and makes mistakes, he also has moments of real ecstasy. Drago has no highs or lows, he just does the work. Of course, I love to read about new discoveries and techniques that can improve performance and I do incorporate some of this into my workouts. I guess what I’m saying is that while I see the value in this, it’s even more important for me to lose track of myself, not care, not know, merge with whatever it is I am doing, and just let things happen. I don’t want to lose that sense of adventure I get when I train. I like to step on the track or jump in the pool and ask myself, what can you today? What’s going to happen? I probably work out this way for the same reason I rarely measure out any ingredients when I cook. Because it’s more interesting for me. Is this a character trait or a character flaw? I suppose that depends on your perspective and I realize I could be wrong about training like Rocky. But whatever your perspective, you’ve got to admit there’s something to be said for surprise, the unmeasurable, and hope. If you remember Rocky 4, even though Drago was bigger, faster, and stronger than Rocky, he didn’t win. 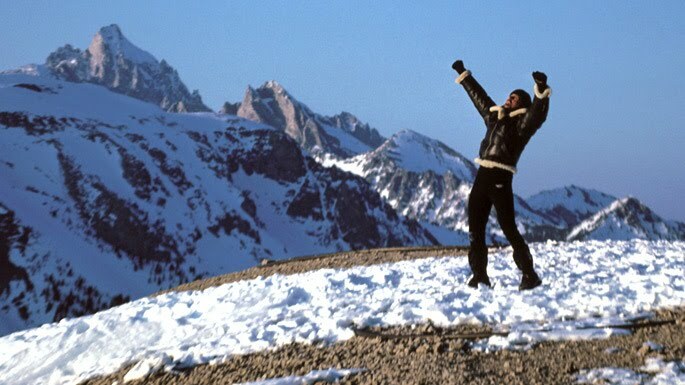 Rocky won, because though Drago’s precisely measured training told him he should win, Rocky’s spartan training told him he could win, but he still he had to hope he would. When Rocky stepped into the ring, it was to find out what would happen, what he was really capable of, and for lots of things in life, that’s what it be should about, moving forward into the unknown. I don’t mean to oversimplify this. I know different people are motivated in different ways, Rocky’s training wouldn’t have worked if he hadn’t already known what he was doing, and this philosophy has got its limitations. Sometimes my lovely, perfect wife tells me I’m too obsessed with my training. I agree and I wonder how this would change if I followed a stricter plan. Would I think about it more, to make sure I stuck to it, or would I think about it less, already knowing what I had to do and that it would work? I don’t know. 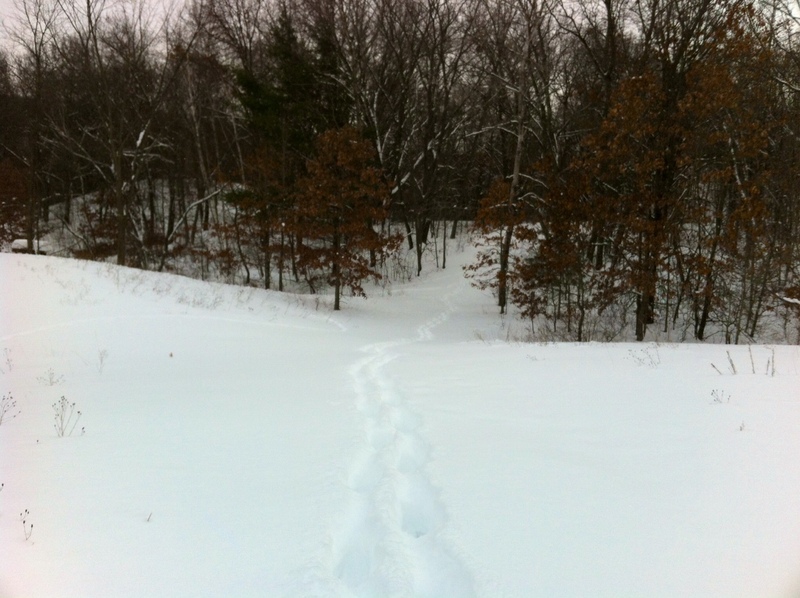 Still, I think some of the best workouts are the simplest and most uncomplicated, the Rocky workouts, like running through the snow with no thoughts about how far or how fast. That’s kind of the essence of it, right? Just doing it. Working hard. Seeing what happens. I guess I like to start with that then fill in the rest….